A story of family, revenge and colourful marine animals. After his closest friend and colleague Esteban is eaten by a shark, famous oceanographer Steve Zissou sets out to capture the creature and blow him up. On this voyage he must also come to terms with the fact that he could be the father of the newest member of his crew, Ned. For most films a description of dodgy camerawork, obviously fake animals and a bland performance from the lead would make it awful and something to stay away from. 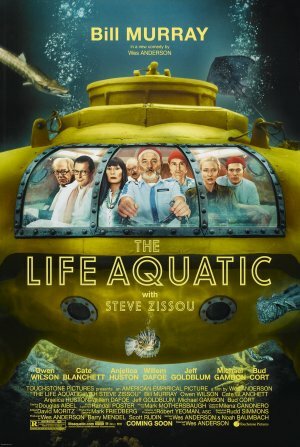 However the way that director Wes Anderson created the world of Life Aquatic with Steve Zissou makes these deliberate downfalls add to its wonderful absurdity. The dodgy camera work helps distinguish the two separate parts of the film when the characters normal lives are captured beautifully but the crew member’s self made documentary that is given the look of a low budget and thus low quality Jacques Cousteu film. This mixed with stop motion plasticine animals creates an amazingly surreal world for the oddball characters to inhabit. Leading these oddballs is Bill Murray as the wonderfully bland Steve Zissou, who manages to be barely capable of proper human interaction for most of the film. 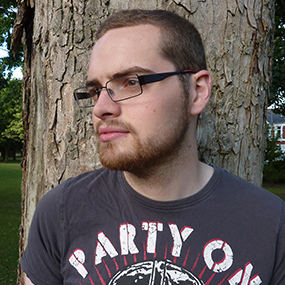 However Murray exudes a warmth that makes sure Steve doesn’t become too distant to the audience and is always entertaining in his minimalistic output. His lack of interaction is used to its comedic best when he is presenting The Life Aquatic documentary segments with amazingly vibrant creatures behind him and is juxtaposed excellently by the lack of passion or wonder in his voice. The supporting cast who make up Team Zissou certainly help to give the film an interesting and quirky depth as they become a multicultural group of misfits that are all as badly qualified for their jobs as Steve himself. The most memorable of these is the German second-in-command, Klaus Daimler, played by Willem Dafoe, who sees the newcomer Ned as a challenger to his position as he had always thought of Steve as a father figure. Seeing Dafoe in this type of comedic role works as an opposite to a lot of other characters he’s previously chosen. His character is put in the same humorous and bizarre situations as the others and due to his normal tough persona the costumes easily look silliest on him. Where most oddball comedies go for the big cheap laughs to good effect but it is good to see something play the laughs down to good effect. What did you think of The Life Aquatic? Who was your favourite of member of Team Zissou?